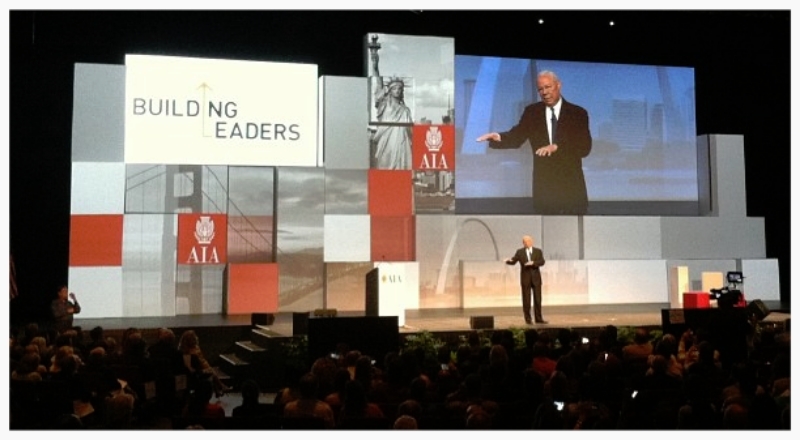 During June, the American Institute of Architects hosted their annual conference in Denver, Colorado. The Convention took place over a series of several days bringing together 16,000+ architects from the US and international countries. Participants listened to keynote speakers, including former Secretary of State, General Colin Powell, and Architecture for Humanity co-founder Cameron Sinclair, while also participating in a series of workshop and seminars focused on building architects as leaders within their communities. Kwan Henmi participated, sending founders Sylvia Kwan, Denis Henmi, and Marketing Manager Je'Nen Chastain. All three have served in different leadership positions with the organization, including Sylvia's term on the AIA national board of directors in 1996, and Je'Nen's term on the AIA national board of directors in 2010. Denis Henmi is serving as a member of the 2014 Convention planning committee, and participated in meetings to discuss the next conference's programming and speakers.